Showing results for tags 'aav'. Hey all, After replacing the fuel filter on my '93 MK2f I noticed a fuelly smell stopping at lights recently. When I got back home i saw it was dripping petrol pretty heavily from the outlet end of the fuel filter. I popped a new, wider clamp on the junction but it looks like the old hose is splitting so there is now a delicate balance between enough clamping pressure to seal the leak without crushing the hose too much and propagating the crack further. I've got it to drip only occasionally but obviously this needs sorting asap. 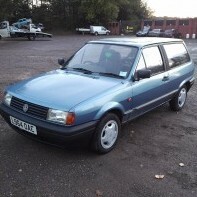 Looking at the parts list: https://volkswagen.7zap.com/en/rdw/polo+derby+vento-ind/po/1993-120/2/201-22001/#20A The hose in question is 20A - apparently a reducer pipe going from 8mm to 6mm. I can't for the life of me find one anywhere (admittedly haven't tried a dealership or TPS - both are kind of a pain to get to for me, the only TPS nearby is 'Trade Only'). However from the pictures of the part it looks a lot shorter than the pipe that is on my car at present - I suspect someone may have bodged their own thing in the past. So my question is - is there going to be any adverse difference to fuel flow if I make up my own reducer using a section of 6mm hose and 8mm hose joined by a 6-8mm hose joiner insert and some clamps? The pressure increase will be identical at the 6mm end but I guess flow could technically be worsened with the sudden change in diameter? The hose itself is quite hard to come by too it seems - however it looks identical to injector hosing (cotton reinforcement between a sandwich of rubber) rather than braided fuel hose. Will injector hosing do the job? Thanks for the help! Hi, Bit of an odd one. I changed my thermostat housing today as the old one was leaking. I fitted a new thermostat at the same time. I filled the expansion tank up with coolant etc and ran up to temp for 10 mind with the heaters on hot. Now when I’m driving my engine temp seems to sit far too high. It used to sit around the 70 mark and rise up when still. Now it seems to sit a little over 90 when up to speed and up around 100 when I’m “town driving” Anyone got any ideas as to what I’ve dkne wrong? First pic shows where it tries to settle and second pic shows where it sits at lower speeds. I’ve hard wired the fan to a switch in the cabin as before it used to not kick in until 100-105, whereas now it struggles to sit at 90 even with the heaters on hot AND the fan running on stage 2. 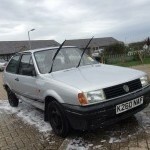 Gotta do 300 miles in one go next week so any help would be appreciated. Thank you. Just curious if anyone knows or tried them to put a AAV head on a AEE bottom end and it would work with the AAV loom. Pretty much my block isn't in the best condition after my head gasket failed so looking at another option. Replace with same engine or upgrade? I have a 93 mk2f with a one liter AAV engine. I have a little less than three months to replace the engine and sell it. Should I stick with the stock AAV or can I upgrade to the 1.3 (I think) liter RP engine? The coolant sensors died and the engine overheated. The head gasket blew and after replacing it, I still have no compression. I think my options are: o Machine the head o Replace the cylinder rings o Replace the entire block and head o Junk it Nearly everything else on the car is new, so I don't want to junk it after all of that. If I stick with the AAV, can I keep the existing gearbox? If I upgrade to the RP, can I keep anything?